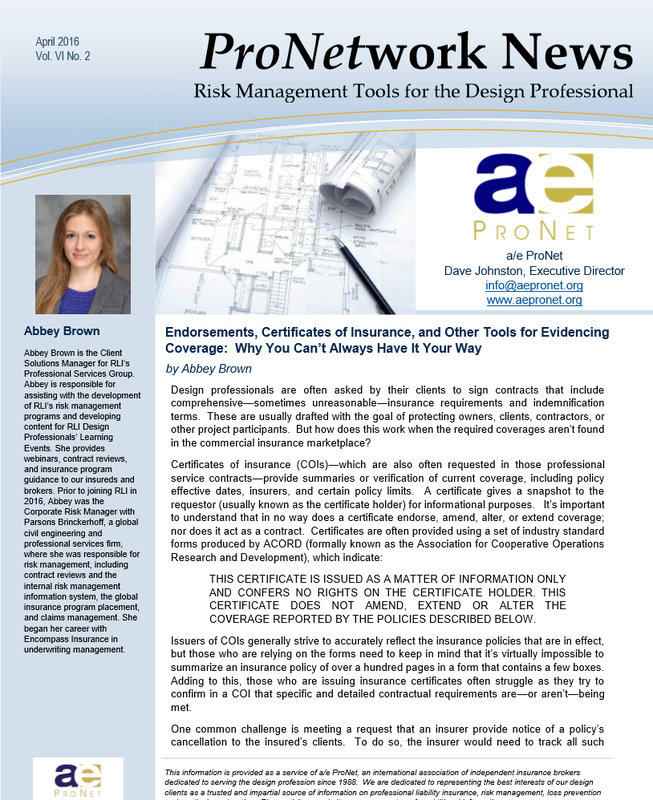 Design professionals are often asked by their clients to sign contracts that include comprehensive—sometimes unreasonable—insurance requirements and indemnification terms. These are usually drafted with the goal of protecting owners, clients, contractors, or other project participants. But how does this work when the required coverages aren’t found in the commercial insurance marketplace? 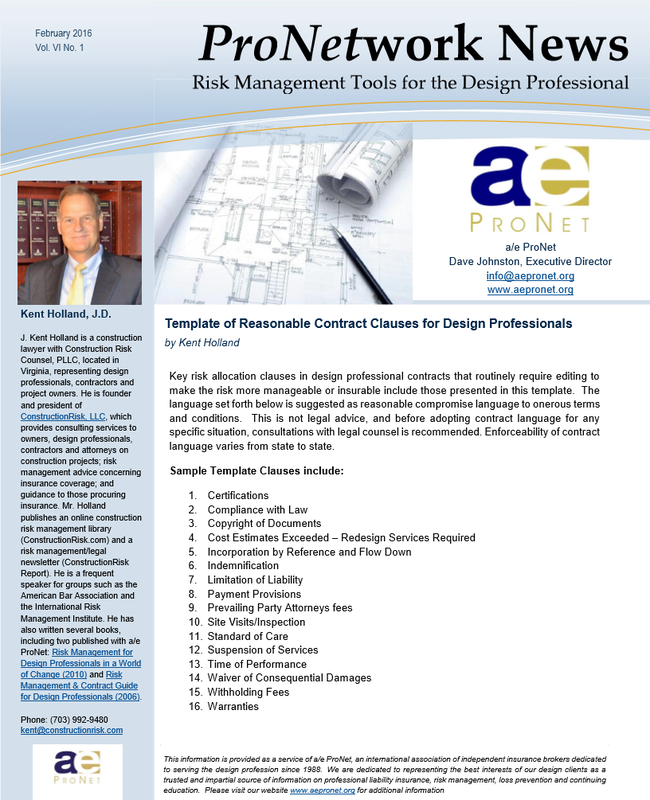 Key risk allocation clauses in design professional contracts that routinely require editing to make the risk more manageable or insurable include those presented in this template. The language set forth below is suggested as reasonable compromise language to onerous terms and conditions. This is not legal advice, and before adopting contract language for any specific situation, consultations with legal counsel is recommended. Enforceability of contract language varies from state to state. 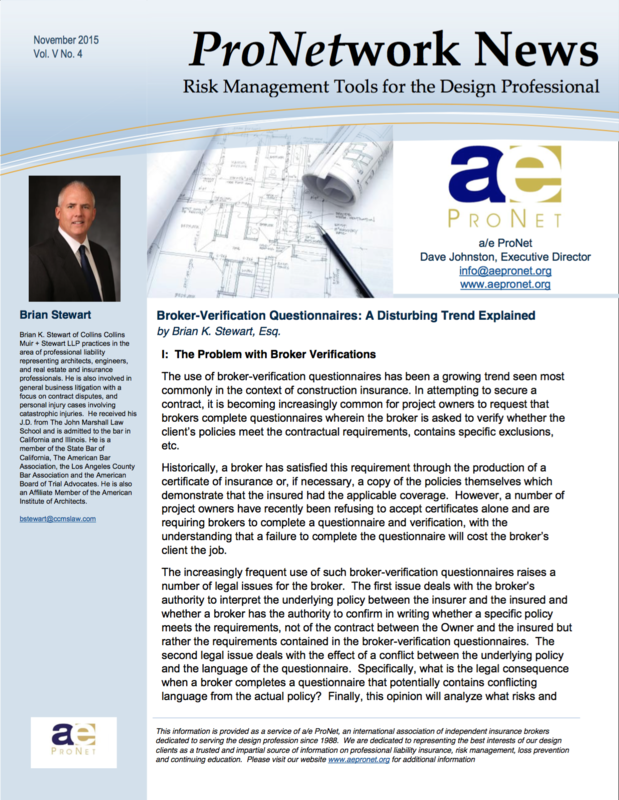 The use of broker-verification questionnaires has been a growing trend seen most commonly in the context of construction insurance. In attempting to secure a contract, it is becoming increasingly common for project owners to request that brokers complete questionnaires wherein the broker is asked to verify whether the client’s policies meet the contractual requirements, contains specific exclusions, etc. 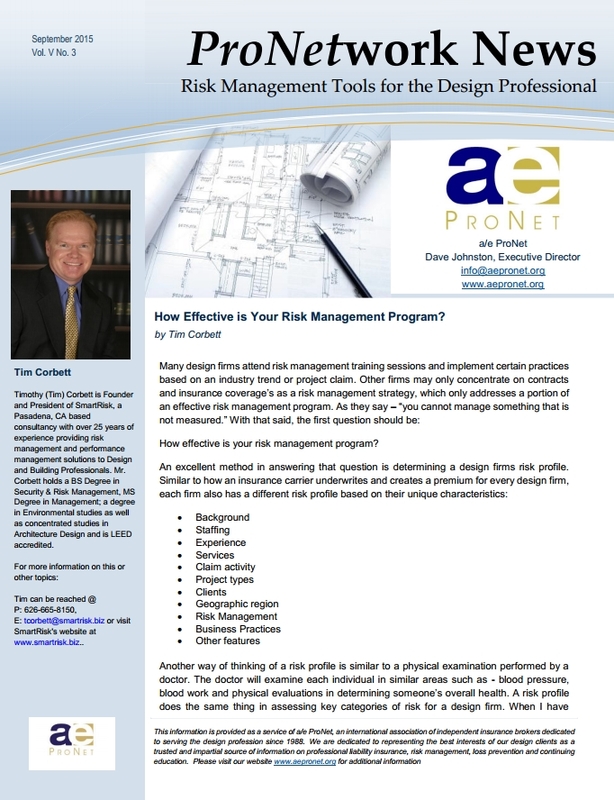 How Effective is Your Risk Management Program? An excellent method in answering that question is determining a design firms risk profile. In the world of claims-related contract clauses for design professional agreements, the indemnity and defense clauses get all the attention. 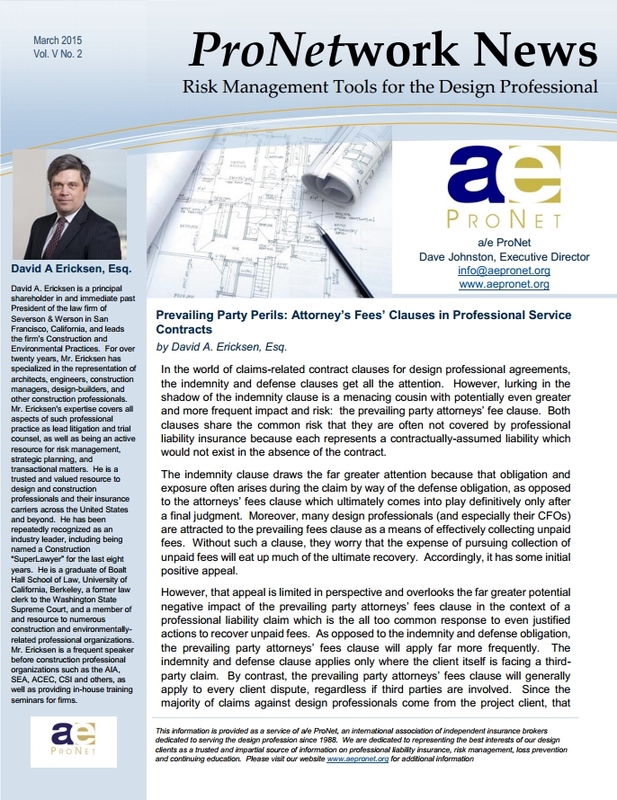 However, lurking in the shadow of the indemnity clause is a menacing cousin with potentially even greater and more frequent impact and risk: the prevailing party attorneys’ fee clause. Both clauses share the common risk that they are often not covered by professional liability insurance because each represents a contractually-assumed liability which would not exist in the absence of the contract.